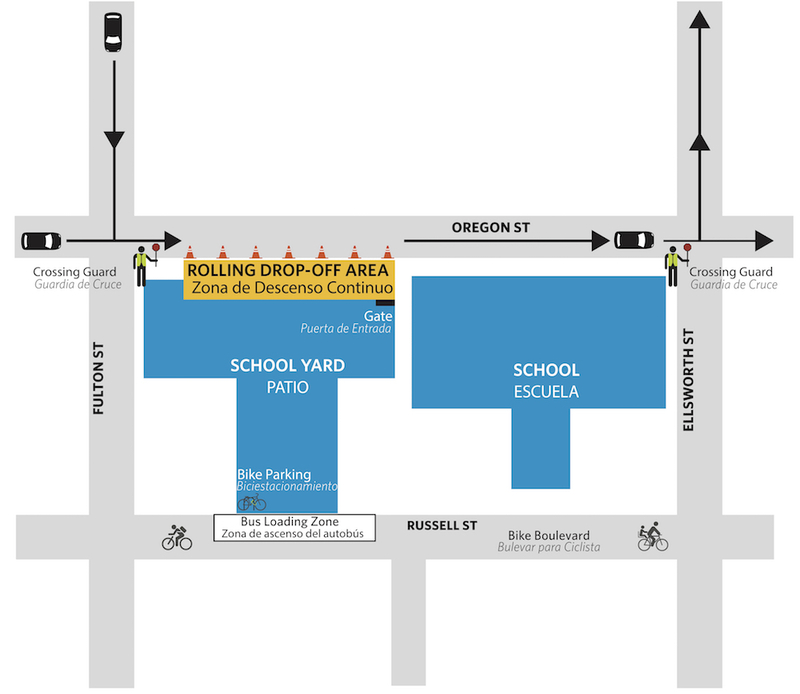 Starting September 4th, the day after Labor Day, we are launching Rolling Drop-Off to make mornings safer, easier and less stressful for everyone. Be patient! Pull forward and wait in your car for a volunteer to open the door and assist your child. Stay in line. Don’t pull away between the cones. No U-turns. Exit toward Ellsworth Street.